...we were all curious about his healing shark bite, which he had gotten three weeks earlier while spear fishing. Paul and I had never been to an atoll with so many sharks; and these weren’t the more benign white-tipped or black-tipped ones. These were the gray, “Jaws” variety. Three of them routinely circled our boats in the anchorage; another gang hung out by the pass to the ocean. 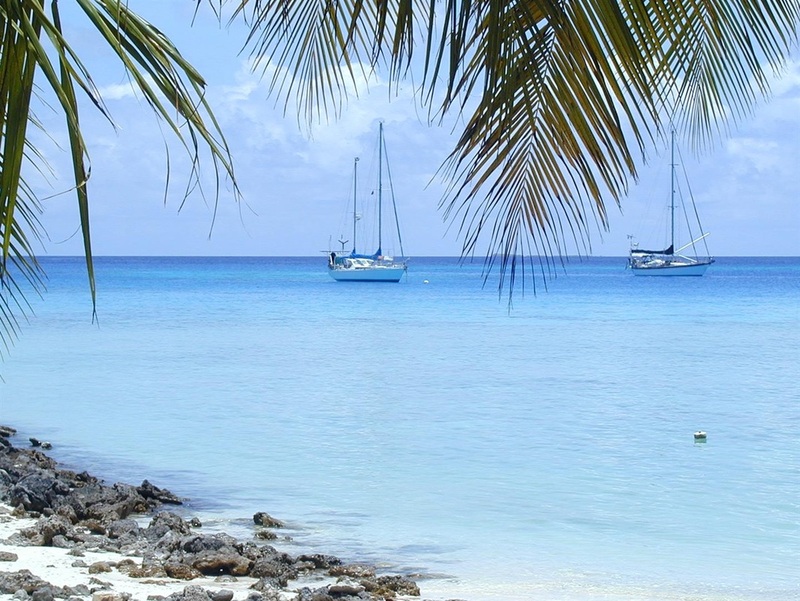 John explained how he had fought a shark – and won. He and his nephew, who occasionally visited him, had been spear fishing in the lagoon. Suddenly, a shark that had been circling ambushed them. Stepping in front of his nephew to protect him, John had intercepted the shark. Thrusting his hands into the shark’s gills, John had flipped the shark over, onto its back. Belly-to-belly, they had wrestled until the shark had wriggled itself free and disappeared into the deep blue. 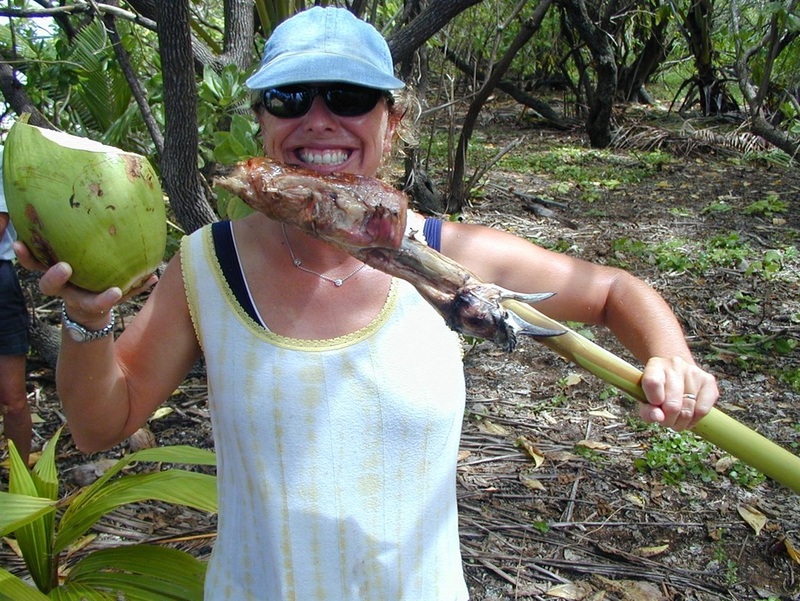 Kelly enjoys lunch of bird and coconut on a neighboring islet.